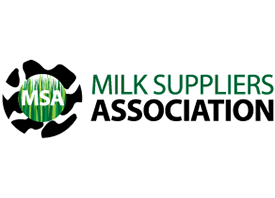 The Milk Suppliers Association (MSA) is a Co-operative made up of 131 dairy farmers based throughout South West Scotland that supply approximately 210 million litres of milk per annum to a creamery in Stranraer owned by Lactalis. Lactalis is a leading global dairy business and the largest European milk processor. The creamery at Stranraer produces a range of cheddar cheeses under the brands Seriously Strong, Galloway and McLelland. Cheese is also supplied to retailers for their individual own label brands. Initially the main thrust will be on cull cows with Farm Stock offering completely transparent returns and very attractive trading terms.